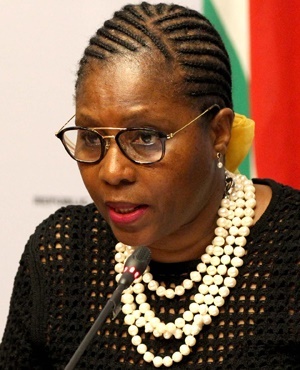 Johannesburg- The Public Service Association was upbeat on Friday that the stalled civil service wage negotiations will gain momentum, following an urgent meeting with Public Service and Administration Minister Ayanda Dlodlo. The parties will reconvene at the Public Service Coordinating Bargaining Council (PSCBC) on Tuesday. They had originally agreed to postpone the negotiations until April 24, but unions highlighted the urgency in completing the talks. “The Minister further confirmed the offer, as tabled on 26 January 2018, as the employer’s formal current position. The PSA will continue with negotiations as mandated by members”, PSA General Manager, Ivan Fredericks said in a statement on Friday afternoon. The PSA, which represents 238 000 government employees, threatened to declare a dispute on Thursday saying its members were growing increasingly frustrated with the delays in the talks which have been ongoing since October. The three year deal signed in 2015, came to an end on March 31. Unions are demanding wage increases of Consumer Price Index (CPI) + 3% for junior government employees and CPI + 2% for mid-level employees. They also want a one year wage agreement. The Bureau of Economic Research (BER) predicts CPI will be 5.2% in 2018. Government’s opening offer was CPI increases for junior and mid-level government employees on levels 1-10 and a hike of CPI-1 for senior government employees level 11-12 and a three year agreement. Spokesperson for the Department, Mava Scott, said he could not confirm government’s offer as it stands, as it remains an internal matter. He reiterated that Dlodlo is “committed to the negotiations and wants to see a credible outcome”. Cosatu unions were also spitting fire earlier in March complaining that the minister had withdrawn the opening offer made by her predecessor, Faith Muthambi. They threatened that a public sector shutdown could be imminent. Representing the seven Congress of South African Trade Unions (Cosatu) public sector affiliates, Mugwena Maluleke took a softer tone on Thursday night saying that any industrial action would be “a last resort”. “We don’t believe we can willy nilly go on strike, it is a tactic”, Maluleke told Fin24. He said that Cosatu unions, which represent more than 50% of the civil service, will decide on the way forward after Tuesday’s meeting. Government is trying to contain the public sector wage bill which accounts for 35.2% of consolidated spending, according to the 2018 budget review, while unions maintain their members deserve improved salaries as there have been Value Added Tax (VAT) hike and fuel levy increase, putting pressure on the cost of living.